for the NHC the coastal regions max out quickly, as that is where the people are. Perhaps first round can be done in more than one event in the more populated regions. Instead of doing 750 entries in April, maybe you do a 500-600 entry first round in March, and another one 4 weeks later. You get to double up on the entries. You leave the total entries per brewer capped at whatever 15 entries, or maybe 10. This would also likely make the final round at the NHC a two day judging event. Maybe you can bump the registration to $15 or $20 per entry to allow some nicer incentives to bring in more judges. Maybe offer a separate judges banquet or something like that. The Indianapolis region was the second/third to fill in the last couple of years IIRC. Indianapolis is not considered a coastal region by this guy. Judge overload and burnout is a real issue. If you have March/April rounds you are depending on the same judges. There was a region in TX that struggled a couple of years ago due to the fact that a very large competition had been judged the month before. Making the second round more than one day would tack another day on the road, paying for a hotel and food for most judges. Or they miss another day of the conference. The BJCP does have a judges lunchen and talk the day before the judging, for a nominal registration fee. The engine behind all of this is the explosive growth of the hobby. The AHA doesn't have big enough brakes. Growth causes problems, but there were also problems when the membership was shrinking sometime back. The last time we got on the stage, Charlie was not there. Settled for shaking hands with Gary, which was cool. I got to shake Charlie's hand last year. I felt bad because I thought he had a cast and didn't want to aggrevate the injury. After I realized it was the wrap he puts on the save his hand from all the handshaking. The pre-qualification argument to reduce entries is not a good one. That's what the first round of this competition is for. If you want to enter a competition where you have to pre-qualify then google MCAB and proceed from there. I was just going to say the same thing...now I don't have to. Thanks. Don't bump the price. That would make the amount you can throw at this a big part of your chances to win. Exactly. I know when Gordon was going for Ninkasi, he mentioned he spent a week's salary enter beers and shipping them. I don't know about anyone else, but I don't think I should have to raid my son's college fund to enter a beer contest. Lots of good thoughts here on ways to change the competition to improve it. The AHA Competition Committee talked through a lot of these rules issues and made the changes we did for a variety of reasons. This committee does not deal with the technical side, ie registration software, so I can't speak to why any of those problems occurred or how they can be addressed. The fifteen entry cap - we made this change to free up spots for more people to enter, although we recognized that this is a fairly small change. There are not that many who enter more than 15 to begin with, as someone pointed out the average is less than 5. We could have gone lower and may drop this limit in the future, but thought this was a good step that considered the interests of those wishing to enter and those trying to win the Ninkasi Award. We also considered limiting entries to start, increasing fees as entries increase (first three are $x, next three are $x+$2, etc), and several other things. These were rejected for a variety of reasons - for example, if we limit it to 5 "to start" that is effectively a 5 entry imit. Not everyone would hit the limit, but it would not suddenly open it up for everyone to enter at a leisurely pace. There would still be a frantic rush for everyone to get their entries in and the competition would sell out in the same amount of time. We don't even have enough spots to limit entries to one per member. A lottery system could be put in place, but then you have to win the lottery and then win the competition. That is a huge change and I'm not sure it would be very popular, but we will talk about it again. We discussed the possibility of eliminating the Ninkasi Award - it is not off the table in the future either. We weren't ready to this year but if we feel it is in the best interest of the competition then that is what we will recommend. When there is a 20 or 50 way tie it is kind of meaningless - that (or before then) is when it will be time (IMO). We considered adding a round to the competition, making it 3 rounds. This increases costs to the point it would not work without raising entry fees a lot, plus requiring many many more regions be managed. It also backs up the starting point for the first round so registration would start in December and we'd have judging in February, April, and June. And you would need that many more bottles to enter each beer. This is not completely off the table, but it's not a great solution. We also considered the situation where only beers that qualified in other competitions could be entered. Personally I think this goes against the spirit of the NHC, where anyone can win. I think the inclusiveness is one of this competitions greatest strengths. We rejected the idea of a dramatic increase in the cost for the same reason (+1 Kai). We considered adding entries to each region, but many of the regions are already at the limit of what they can judge. We considered adding regions, but lack areas with enough qualified judges to judge 750 beers who also have organizers willing to shoulder the burden, and this could lead to problems judging the additional entries in the second round. We considered cutting the limit to 500 per region while increasing the number of regions, but this floods the 2nd round with too many entries to be judged effectively. And on and on and on. In the end we are between a rock and a hard place. The rock being the number of people who wish to enter, and the hard place being the number of beers that can be judged in a timely and effective manner. Maybe we should limit entries to those who judged in the previous year's competition? That would reduce demand and probably increase judges in short order. Hopefully with the new BJCP exam the number of judges will increase faster so we will be able to add more first round sites or increase the size of existing sites. As demand for the conference expands we will hopefully have more judges there for the second round and can add regions for the first round without worrying about overwhelming the second round. We are trying to grow the competition, but we have to do it in a way that maintains the overall quality. My hope is that this year's second round shows that we are able to handle a few hundred more entries in the second round in future years. Every 84 more entries we can get judged Thursday of the conference gives us the ability to add another regional judging center, or another 750 entries overall. As the ability to handle entries in the second round expands, the need for more places that can take 750 entries (or more) will increase. So become a judge - I know, that takes time and money, and finding a spot for the tasting exam is a pain, but unless we get more judges we are still getting crushed under a two ton heavy thing. In the end we will increase capacity as much as we can, but we will have to come up with ways to decrease demand. Needless to say we will be discussing this a lot over the coming year. What about paying judges. Raising the entry fee by 100% AND having an entry limit of 5 would still prevent the NHC from being a rich brewer game. If you pay judges you may attract more of them. +1 Turning it into a rich man's game defeats the purpose IMHO. I don't think so at all. What it will defeat is....I have 15 beers ready to enter. 10 average ones, 4 very good ones, and 1 outstanding beer but.....WTF....I will enter ALL of them! If you really, truly believe your beer is that good and could medal you will spend 30-50 dollars on a single entry. Let's emphasize quality and NOT quantity. If you are just looking for feedback on your beers....well there are a lot of other BJCP comps that will give you that and guess what? ?.....Many, many times it is the same judges as the NHC. As it stands now are the winners at this years NHC really the "best" or are they the "luckiest" for being able to get their entries in. Raising the price is just as exclusionary as not capping the number of entries. You just hose another segment of the community. disagree. I have a bunch of beers I think are medal-worthy, and wouldn't pay that much for one entry, let alone the 8 I registered yesterday. It's too much money, and I would just sit out. How is that making it about quality? Shame..I really had two good beers that were ready to go, a lot of effort put in. My neighbors will be happy that they'll have more for them. Looks like Colorado State Fair for me this year then, gives me time to try and best my Silver medal from last year. I guess the real question is, how many enteries would we have this year if there was no cap? And how many entrants? My brother and I are both members, brew exclusively together, and equally collaborate on all of our beers, and (try to) enter as one. We intended to put two and possibly 3 beers in. How many members are not actually brewers but maintain membership for the awesome discounts at local establishments (that pays the price of my membership for sure) or to get into GABF on Saturday afternoon? How many members are former homebrewers turned pro, that just like to stay connected to their roots and get Zymurgy? I imagine that they are ineligible to enter, or it would be pretty embarrassing for Ken Grossman to win a gold at NHC for an American Pale Ale? How many are like Kai and don't compete? If we gave 1 beer entry to everyone who wanted a slot, how many would we have? As for me, I don't like competing all that much, but it would be nice to have a shiny medal to validate my efforts. I entered my first beers in competitions only a few (like 10) years ago after I felt my beers hit a plateau. I got great feedback (and follow up when I asked for it) from judges which helped me as a brewer. I like the NHC as I wanted to support and benefit from a group I am a member of. I don't put beers in every year either. To be part of the solution (and to get better at tasting and brewing, I admit) I started volunteering as a steward for the 1st round NHC in 2010, and finally took my first BJCP exam this year. The NHC 1st round is only sort of fun to be involved in....it is far more work than fun. My impression is that it is already too big....too many beers (at least in certain catagories), too few judges, not enough space or time at the location to comfortably judge beers. It is also my understanding that other local competitions held by some of the bigger clubs is bursting at the seams with entries pushing the limits of their own entry caps....many of those are like 300+ entries, and the guys running those comps are the same ones volunteering and organizing at the NHC sites. So the qualifier idea may not work, either. We could do a winter and summer olympics style with certain catagories only judged at one or the other....but then we'd be complaining twice a year about this. I wouldn’t have a problem taking money. especially if it pays for gas and other judging related expenses. Even if the money is more than that it would be one way of financing the hobby. I think it’s all about creating more incentives for brewers to go the route of becoming a judge since the community of brewers is growing faster than the community of judges which is why we seem to be having these issues. I’m not in favor of tying conference attendance/entry to judging. Personally I’d like to see competitions and the conference as separate events. There are many brewers who are not interested in entering competitions or judging but would like to attend the conference. Giving judges a leg up on registering for the conference would be unfair to the other group. I'm talking about registering for the competition, not the conference. The judges sit for hours writing about the beer; I don't see anything unfair about giving them access to the competition the following year. Shame..I really had two good beers that were ready to go, a lot of effort put in. I feel your pain. My brother and I have been working on fine tuning three recipes since last years competition. We brewed each beer several times, making minor adjustments to get them just right. We felt really confident about two of them and decided to enter them but we were shut out yesterday. I spent hours at work just trying to register at several locations, used several computers and several browsers (most current versions). Was only able to register in Minnesota but no luck with any entries. We have been competing in the NHC for years and are both extremely disappointed (pissed off) about the whole situation. Since the lack of manpower its impossible to increase the amount of entries/judging locations, the only solution is to cap the entries like many others have stated & give the little guys a chance. Yep - raising the price will decrease demand, but it does so by cutting out people who can't pay more. These may be some of the best brewers. 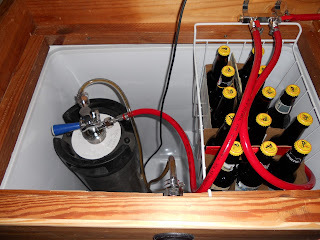 Many of us know somebody with all the best equipment and a kegerator full of terrible beer. So does anyone know if in regions like Ohio, if people will have to compete against over 900 entries? Doesn't seem like that would be a fair competition if the other regions have a lot less entries. What a mess. I misread that and what you are proposing seems reasonable.